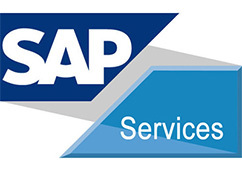 As a certified SAP Services Partner, Adroit helps customers design, implement and integrate SAP solutions, optimize business processes, and provide strategic business consultation. Adroit collaborates with SAP and assumes responsibility for supporting SAP solutions. Because of this relationship, Adroit has access to a much broader range of software tools and solutions for its clients. Leveraging this vast resource, we co-innovate on SAP’s Business Process Platform to develop new skills and capabilities, access information and knowledge, and thereby deliver the extra value to organizations. Our status with SAP means that our customers can enjoy the expertise of Adroit and the support of SAP. This combination provides an outstanding opportunity to work with us on collaborative projects within the SAP Ecosystem.